If you are looking for tidbits about one of the best online game rooms available, you are in the right place! This Next Online Casino review will cover every significant aspect of it and then some, for example, you will read about the available games, the bonuses, and the methods for depositing and withdrawing money, as well as information regarding the software requirement and the technical support. Keep reading and discover why this casino is so renowned! 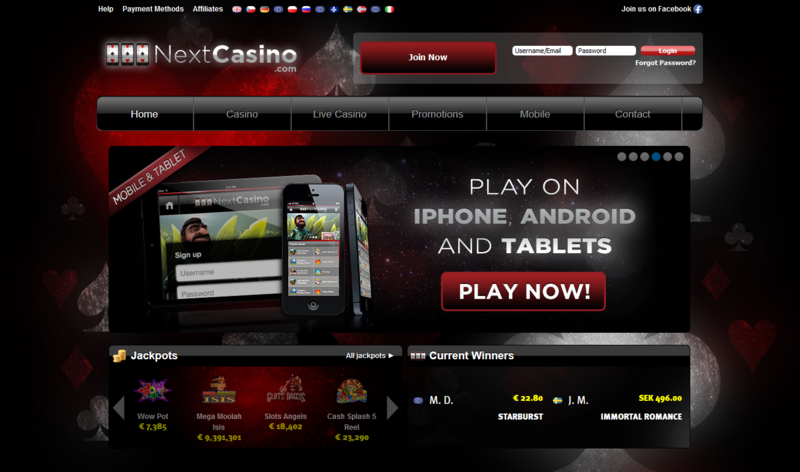 Since its creation early in 2013, NextCasino worked towards a cutting-edge, superlative gaming experience. EveryMatrix Ltd keeps delivering a state-of-art platform for the over one hundred games hosted by this website, that are available both on computers and on mobile devices (regardless of operative system). A UK-based company addresses itself to the needs of customers and handles the marketing side of the business. Players from all around the world like this website and consider it one of the best choices to play and gamble online because of the great game selection, the good customer support and, of course, the generous welcome bonus. 20 table games: There is the Mini Baccarat, Pai Gow Poker, Single Deck Blackjack and Casino Stud Poker. You also get to play the European Blackjack, Double Exposure, Beat Me, European Roulette, BlackJack Multi Hand and the Casino Hold ’em. 537 slots: Among the most popular here are Firestorm, Illuminous, Sevens High, King Colossus, Jewel Blast, Sinbad, Genie’s Touch and Second Strike. 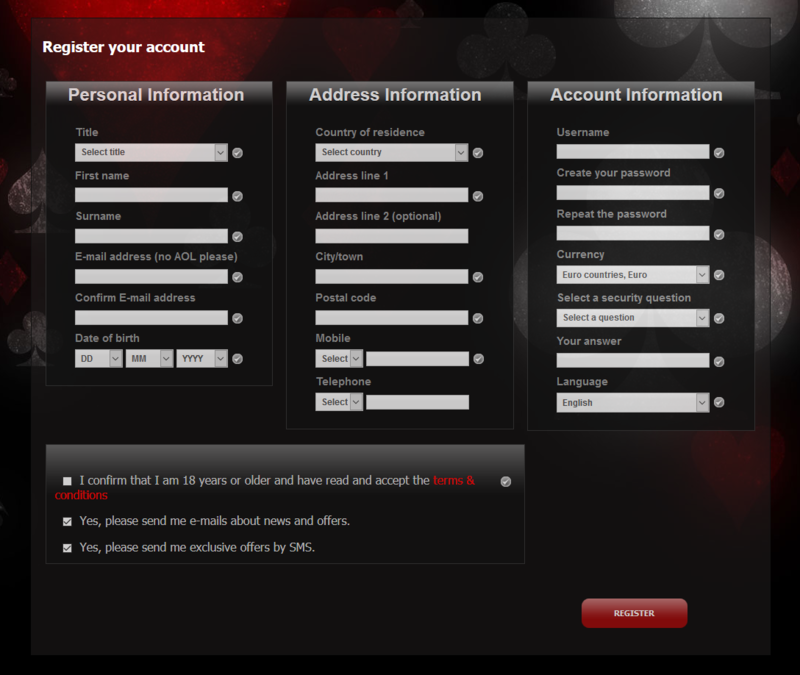 4 video pokers: Here, we can find Jackpot Poker, Joker Poker MH, Deuces Wild MH, Jacks or Better MH. other games include Keno, Triple Chance HiLo, Scratch Ahoy, and Hole in One. 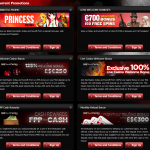 Despite this enormous gaming offer, the company believes in responsible gaming and has even allocated a section of the website to advise players against a gambling dependency. There are explanations about how to maintain control when playing games of chance, and also a section with questions that will make you discover if you have a latent gambling addiction. 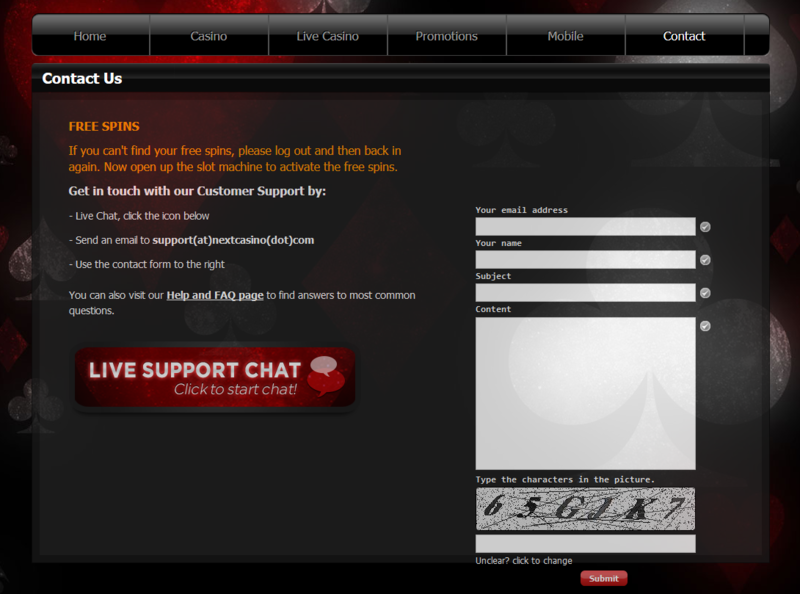 In order to help people not develop a gaming dependency, the staff decided to offer each player the opportunity to set their own custom Deposit Limit on their personal account. Decreases take immediate effect, but increases can only occur after a cooling-off period. As for withdrawal and deposit methods, the website supports multiple currencies (EUR, GBP, USD among the most popular) and deposit methods (Visa, Neteller, Mastercard, Skrill, Maestro, MasterCard, Moneta.ru and DineroMail among the available choices). You may consult the official website for other detailed banking options if this recap did not answer your questions. a 125% bonus on your first deposit, with the possibility of doubling it up to 250 pounds, dollars or euros (depending on the country where you play from). 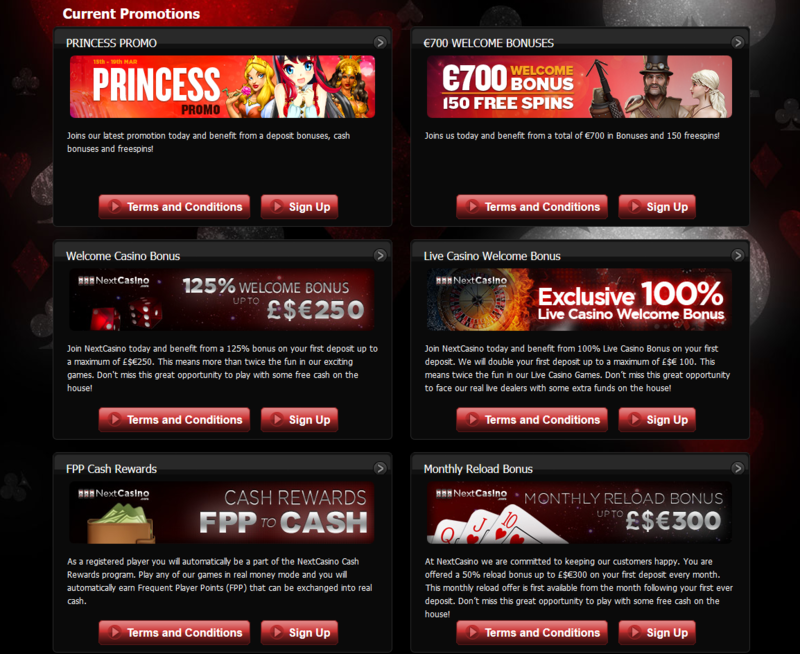 a 50% reload bonus up to £$€300 on the first monthly deposit. 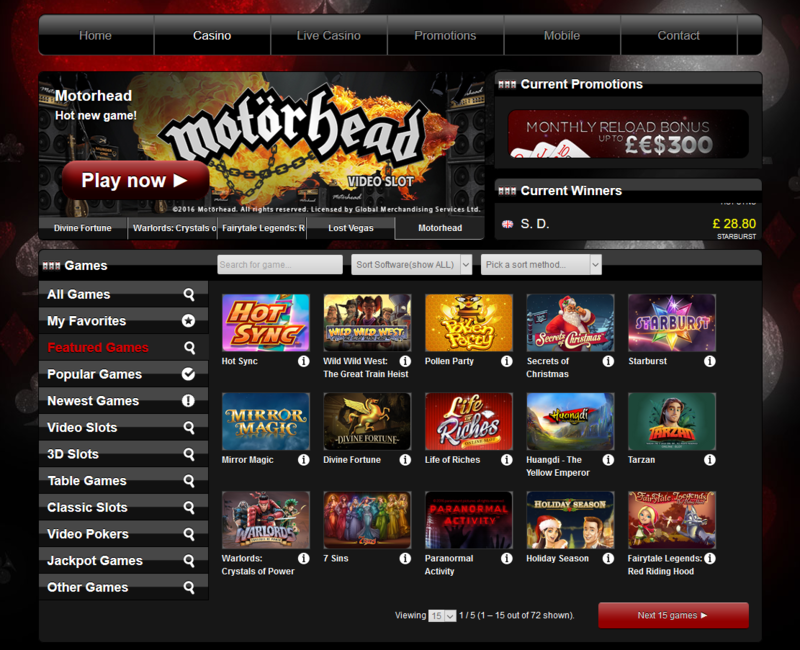 free access to £$€700 in bonuses and 150 free spins in many games. a special Easter Promo just for a few days. You have to meet minimum system requirements in order to play on the website, but they are quite manageable even for older computers and laptops. All you need is a 64 MB RAM on Windows and Macintosh, Adobe Flash 10 or greater, and Internet Explorer 7 or greater. Almost every Windows operative system is supported (for example Windows Vista and 7, but also older versions like Windows 2000 and XP). Gameplays are stored in servers, so that in the event of a disconnection players only need to log back in and resume playing. 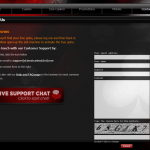 This Next Online Casino review covered every relevant aspect of the services you may find on this playing platform, apart from one: the software used to make games run. 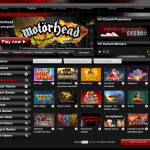 This casino website makes use of Net Entertainment software for the most part, even though many games are also powered by Betsoft, Cryptologic, Sheriff Gaming, Microgaming, IGT, Omi Gaming, and PlayNGo. Unfortunately, many software are not specifically designed for MAC, so Macintosh users may have a hard time running some of the available games. 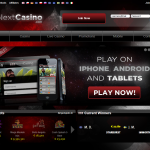 Next Casino is really appreciated by players, because it is reliable, entertaining and safe. Other good features of the platform are the many banking options, the great welcoming bonuses, and the attentive customer technical support.